Bryce Conley, Ty Damron and Josh Reagan all combined to toss the second combined no-hitter in franchise history, and first since the combined no-hitter of Zach Erwin and Joseph Camacho last season on August 23, 2017, as the Snappers (4-3) defeated the Burlington Bees (3-3) 2-0 Thursday afternoon at Community Field. 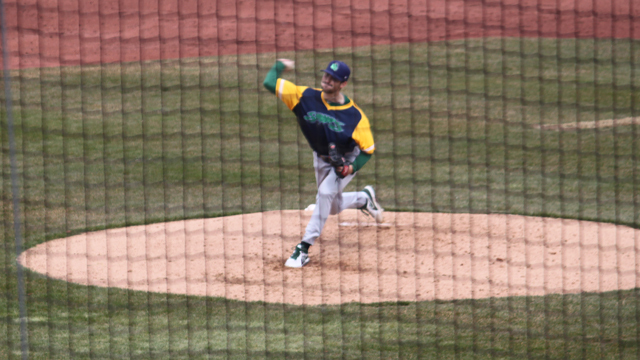 The no-hitter also marked the sixth time the Snappers pitching staff has not yielded a hit in franchise history and is also the first no-hitter in all of professional baseball in the 2018 season. Before Conley took the mound he was spotted a quick 1-0 lead thanks to Austin Beck scoring Nick Allen on a RBI groundout to short. Allen led off the game with a double to center field, his second two-bagger of the year. Conley began his day striking out the first batter he saw in Spencer Griffin and was in a zone from then on out. He then quickly retired Jo Adell on four pitches, and got Tori Hunter Jr. to ground out on the first pitch he saw. The Snappers scored their second and last run in the top of the fourth inning, as Miguel Mercedes grounded out to second base to score Austin Beck to give the Snappers a 2-0 advantage. For the seventh inning, manager Webster Garrison turned to reliever Ty Damron who pitched the seventh and eighth innings, not yielding a hit, surrendered just two walks and struck out a pair. Josh Reagan then came on to close the game out, and preserve the potential no-hit bid in the bottom of the ninth inning. Reagan worked quickly with the first batter, getting Spencer Griffin to fly out to Beck in center field for the first out of the inning in just two pitches. The former South Carolina Gamecock then struck out Jo Adell on five pitches to bring the game to its final out. With Reagan facing Tori Hunter Jr., son of former Major Leaguer Tori Hunter, Reagan and Hunter battled out a six pitch at-bat. Reagan then blew a called strike three by Hunter to preserve the no-hitter and give Reagan his first save of the season. The Beloit Snappers are a member of the Midwest League and have been the Single-A affiliate of the Oakland Athletics since 2013. For more ticket information, contact the Snappers office at (608) 362-2272 or on our website, www.snappersbaseball.com.